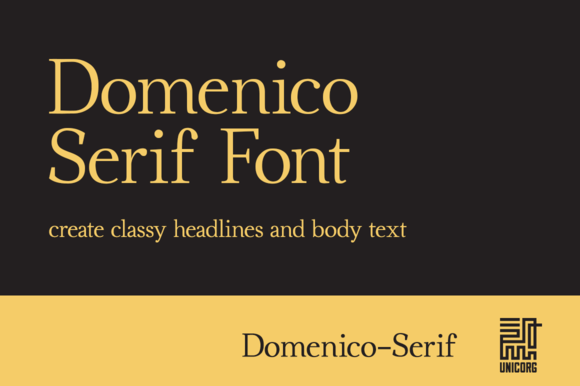 Domenico Serif is a serif typeface created & published by Unicorg that comes in 2 styles (Regular & Italic)and it matches for headline and text. It can be used for headline in all sizes and for text blocks. Also it was designed to be suitable for graphic design (in web), poster, logotype etc. A font description published on Monday, August 11th, 2014 in Fonts, Unicorg by Alexandra that has 3,626 views.